I am now back from my trip to France and have recharged my batteries for new projects to come. I hope you have all had a good week. 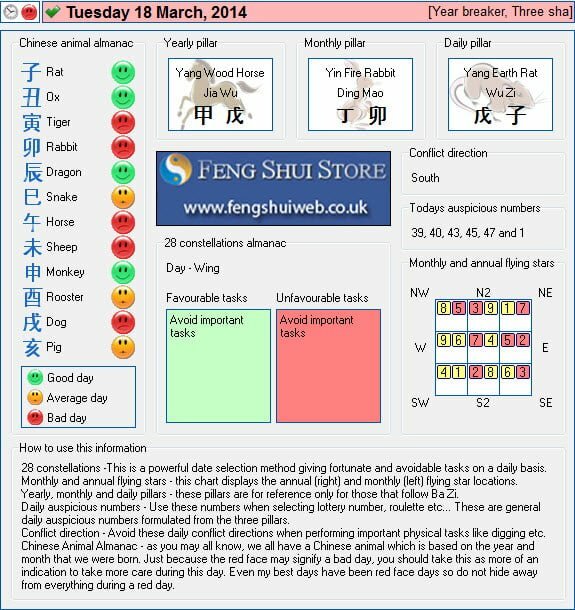 Here is the Free Feng Shui Tong Shu Almanac for Tuesday 18th March 2014.